Check out these two adorable variations of this listing from my etsy shop! 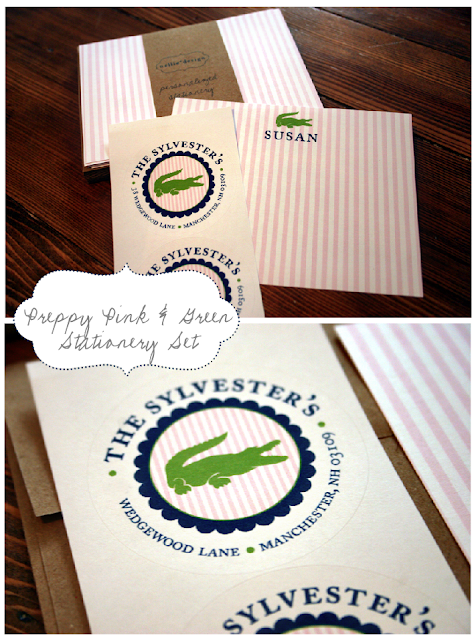 Have fun customizing this fun, preppy stationery for a friend, a co-worker, a teacher gift... or, um, yourself! 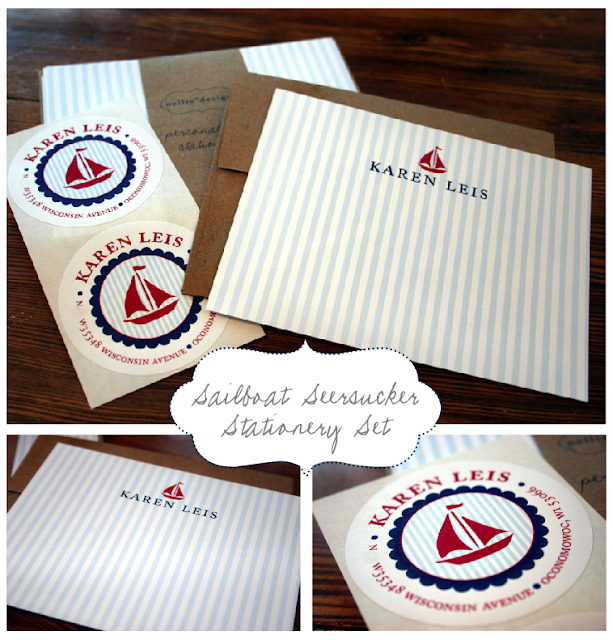 Sailboat seersucker stationery set. Say that 3 times fast! ;) How great are these perfectly nautical light-blue lined cards and labels with the pop of red added! So cute! Love the preppy looks!!! My Printable Parties were Featured! Sailor Girl Party :: Navy's 1st Birthday!